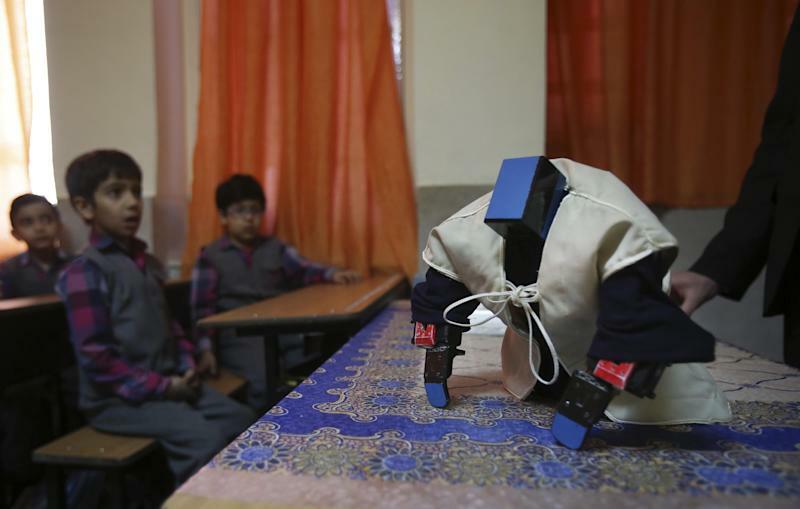 TEHRAN (AP) — An Iranian schoolteacher has innovated an amusing way of encouraging young children to say their daily prayers — robotics. He teaches the Quran to boys and girls at Alborz elementary school in the town of Varamin, 35 kilometers (20 miles) southeast of Tehran. "Once I was at a family gathering where there was a little girl playing with a doll that could dance and sing. I saw her watching the doll passionately and it made me contemplate on a making a device that can be used for both religious and entertaining purposes." He told AP Television. 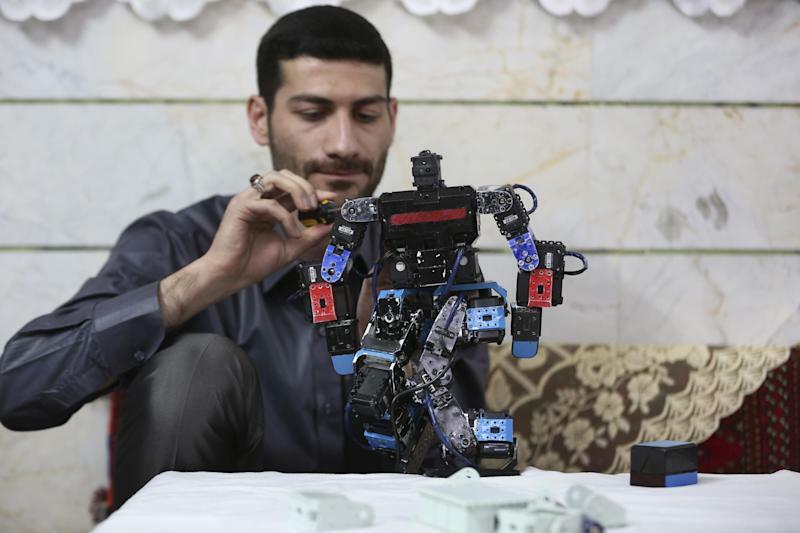 He built the robot at home with basic tools and gave it the designation "Veldan," a Quranic term meaning: "Youth of Heaven." "It was so exciting to me to see a robot pray. I have decided to always say my prayers too," said Narges Tajik, a third grader at Alborz School said. 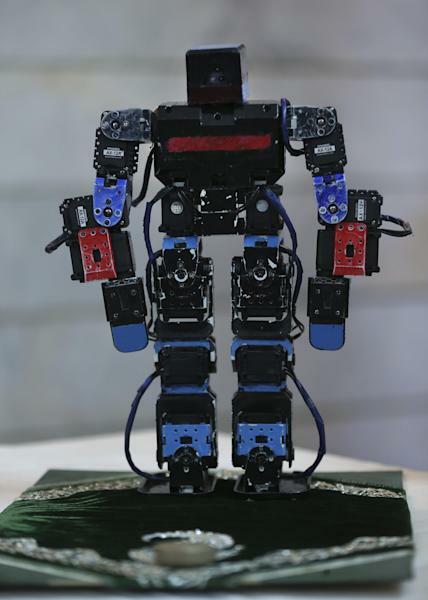 He describes the robot as an educational assistance to teachers and believes that it has so far been successful in attracting students and should be mass-produced. "As you see the children's reaction in their faces, you realize how interesting it is to them to see how the science of robotics has been beautifully used for a religious purpose and I am sure it will be greatly effective in teaching them how to pray," he said.